Available today, a free firmware upgrade, VariCam LT 8.0, adds a Hybrid Log-Gamma (HLG) mode to Panasonic’s 4K cinema camcorder. HLG output, designed for Live and “Near Live” production, principally supports the VariCam LT in CineLive configurations. 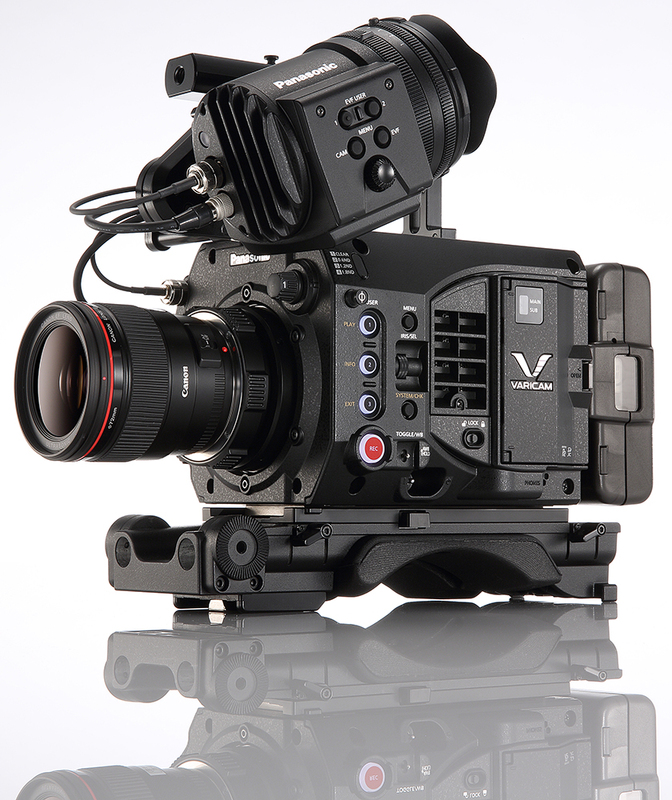 The live output of the VariCam LT can be set to HLG, utilizing an extended gamma range for HDR production. This output is available in both HD video output mode and 4K/2K processed RAW output mode. The output signal can be graded live using the AK-HRP1000 Remote Operation Panel. For maximum flexibility and compatibility, while the main output is set to HLG, the secondary viewfinder output can be set to HLG or to SDR, allowing non-HDR monitors to view an appropriate signal. * Firmware update scheduled for the near future is required to support HLG. ・The Gamma and the Color Space of HLG are converted into the SDR formats’ ones. HLG images can be displayed on SDR monitors. ・Monitors can express the gradation of the high brightness area while maintaining the contrast of the normal brightness area by this function. ・Usually, the gamma of VF is SDR (monitoring gamma). You can temporarily change the gamma of VF from SDR to HLG to check the high brightness gradation. ・HDR (HLG) and SDR (monitoring gamma) can be output simultaneously with 2 lines of SDI. ＊When setting the output of PROXY, SDI 1, SDI 2 or VF SDI, you can select HLG/SDR respectively. ・Zebra indication can be displayed in the brightness saturated area of VF image. ・When the PROCESSED RAW is set, the information about HLG is embedded in the SDI payload. When the SYSTEM MODE of HOME (SYSTEM) is selected, the menu switches to the detailed items by pushing the dial. The UI of this operation is improved. When AVC-4K422 is selected, the output of Processed RAW is set Dual. The information of “PRODUCT VERSION” is written to the XML files. The value of GAIN shifts by +6dB when GAMMA SELECT is set to “BC GAMMA” and EI MODE is set to “dB”. When you input RETURN video signal at 23.98p or 24p frequency, the output images look jumpy. When you input RETURN video signal at 25p frequency, the output images are abnormal. The Up/Down operating range of AK-HRP1000’s IRIS lever and the OPEN/CLOSE operating range of lens do not match up. (MC model only) KNEE MODE menu spelled in Chinese has some inaccurate expressions.